JFSA Cleveland 1 of 5 Agencies to Win $50,000 Intl Prize for Horvitz YouthAbility Program! Home/Press Releases/JFSA Cleveland 1 of 5 Agencies to Win $50,000 Intl Prize for Horvitz YouthAbility Program! August 17, 2015 (Beachwood) – The Ruderman Family Foundation announced today the five winners of the fourth annual global Ruderman Prize in Inclusion competition. The Prize honors Jewish organizations that operate innovative programs and provide services that foster the full inclusion of people with disabilities in their local Jewish community. The winners are: Yavne Institute (Montevideo, Uruguay), Jewish Family Service Association of Cleveland (OH, U.S.), Kisharon’s Adult Employment Programme (U.K.), Room on the Bench (Brooklyn, N.Y.) and Beit Hillel (Ra’anana, Israel). Each winner will receive $50,000 to continue their work and pursue new opportunities for inclusion in their local communities. 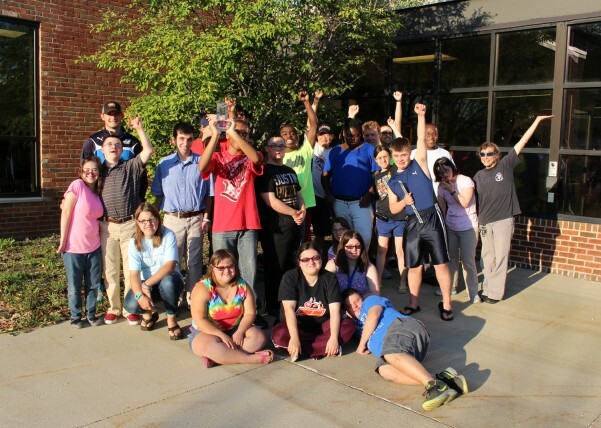 Congratulations to our terrific YouthAbility members, volunteers and staff who continue to raise awareness of inclusion of people with disabilities not only in Cleveland, but throughout their travels. This is an outstanding achievement that is so well deserved.